Navigation: Home / Forums / General Discussion / What Game are YOU currently playing? @Tyranexx I forget the name, but the magic trainee can be made totally busted. There is a glitch you can do to make him able to use all forms of magic. But even without that, he can become a summoner, which is a really cool unit type. @Heavyarms55: Ah, Ewan. I grabbed him late enough that I didn't really think him worth the investment at that point since I had a couple of decent magic units (Lute in particular is an amazing Mage Knight); I mostly stuck with the main story and didn't bother much with the Tower of Valni or the random map battles this time around. I've played Crypt of the Necrodancer pretty obsessively for a few days now. Bought all the items, found all the NPCs for my base, still trying to survive Zone 4, and... I'm kind of tired. I think I'll play something else for a while. Bought switch online yesterday. I can't stop hopping between Tetris99, and The Adventure of Link. I've been playing Monster Hunter 4 Ultimate. I got a good deal on it about a month ago, and I've been hooked on it since. @GlacierAC I play that one too, it's one of the few 3DS games enhanced for New 3DS/New 2DS, in between. It's great to control the camera with the nub, too. @BlueOcean I own the original 3DS, and surprisingly the touch screen controls for the camera work really well. I can definitely see the C-Stick being much more user friendly. I recently started replaying Advance Wars: Days of Ruin. Also trying to finish Zone 4 in Crypt of the Necrodancer with Cadence, although, after many, many days of struggling with it, I'm losing my patience. It's so unfair to force the player to play through the entire zone if they can't survive going through it plus two boss battles in a row. @GlacierAC Yeah, it's a good workaround. @ReaderRagfish Sure, I haven't played for a while but I'm up to it. @ReaderRagfish Sorry for the late reply. I have been busier than usually. Do we exchange 3DS codes then? Mine is 2836-0258-0952. Psst... Don't tell to anyone if i secretly continue my Pokemon White 2 on my New 3DS XL during my bedtime. @Anti-Matter I can give you my friend code for White 1. Getting back online with that game is extremely easy compared to other DS games. I'm playing White 2, not White 1. Does it compatible too ? @Anti-Matter Yep, it should be. Project Rub - I don't remember playing a game like this before, not on a games machine anyway. 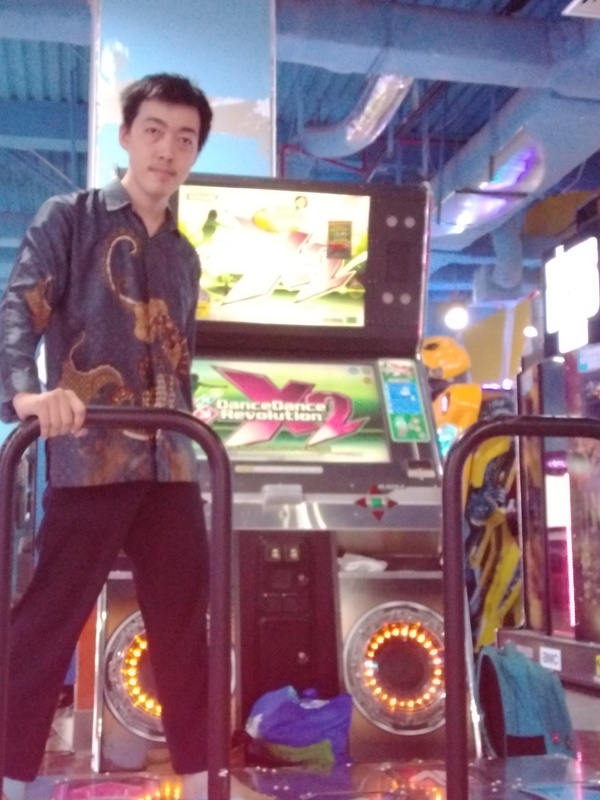 Dance Dance Revolution X2 Arcade after working time, ahoy ! 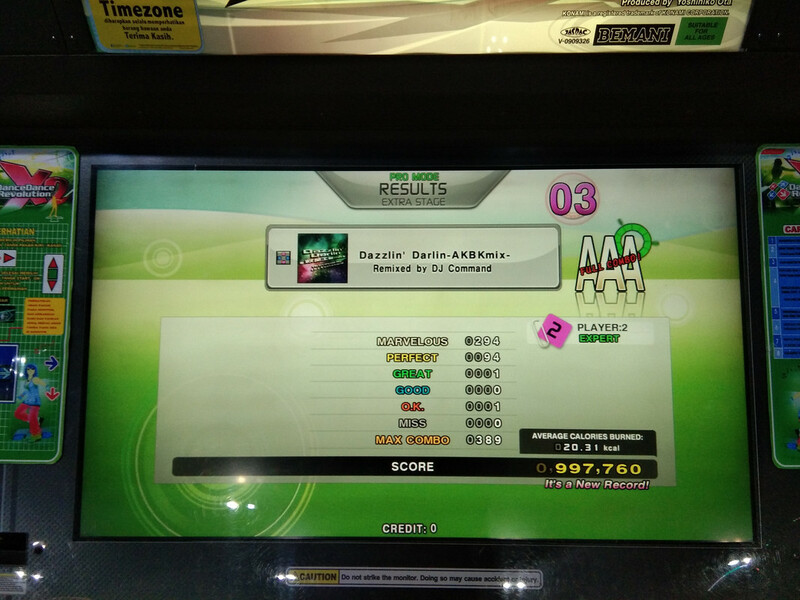 Yay, another AAA score again !